The two chambers of the National Assembly – the Senate and the House of Representatives – have mandated their committees to investigate the deadly clash between the Shi’ia Islamic sect and the Nigerian Army, which left scores of the sect’s members dead in Zaria at the weekend. The Senate took the decision to investigate the incident after lawmakers met behind closed doors for more than an hour on Wednesday. After the session, the president of the Senate, Bukola Saraki, said it had become expedient to investigate the incident and find a solution to forestall an escalation. “The Senate, in a closed session, exhaustively discussed the incident involving the Nigerian Army and the Islamic Movement Group known as the Shi’ites Group and all subsequent events. “Accordingly, the Senate has unanimously resolved to investigate the incident and an ad hoc committee has been mandated to investigate. “The ad hoc committee will comprise the chairmen and vice chairmen of the Senate Committees on Defence; Intelligence and National Security; Judiciary and Human Rights; Army; Police Affairs; Internal Affairs; and Foreign Affairs. “The ad hoc committee is to be headed by the chairman of the Senate Committee on Defence, Ahmed Lawan (APC Yobe North),” Mr. Saraki said. He gave the committee four weeks to report to the Senate. While briefing journalists after the plenary, the spokesman of the Senate, Aliyu Sabi (APC-Niger North), urged all parties involved in the clash to remain calm. 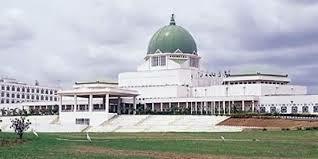 “The Senate deeply and sincerely regret the loss of lives and property by all affected parties and the general public. “The Senate is seriously concerned and committed to ensuring that peace reigns in our dear country and will act in accordance with the constitution of the Federal Republic of Nigeria at all times,” Mr. Sabi added. Also, the House of Representatives, on Wednesday, said it had ordered its “two relevant Standing Committees” to meet with the top officers of the country’s security agencies in order to unearth the root cause of the last Saturday’s clash with a view to finding lasting solutions. A statement by the chairman of the House Committee on Media and Public Affairs, Abdulrazak Namdas, said Speaker Yakubu Dogara urged the committees to do a “thorough job considering the sensitive nature of the matter and the present security situation in the country”. “He urged Nigerians to be calm and peaceful, and stressed that the House of Representatives will always be alive to its responsibilities,” Mr. Namdas added. The statement quoted Mr. Dogara as saying that Nigerians would be fully informed in due course when the House committees assigned to probe the matter conclude their assignment and report back to the House. On Saturday, Nigerian soldiers clashed with members of the Shi’ia group in Zaria, leading to several deaths. The Nigerian Army in a statement issued by its spokesman, Sani Usman, alleged that the group, led by Ibrahim Zakzaky, had attempted to assassinate the Chief of Army Staff, Tukur Buratai.